You’re a business owner and have been doing fantastically over the recent years without any need for any IT Support. Like everything recently, your business depends on IT; emails, databases, documents – even niche software just for your business. But when is it time to bring in a professional IT support company? Below are a few signs that might show it’s that time already. If your productivity is down due to IT issues you’ve been trying to fix yourself. You work for your clients on an hourly rate, the hours you’re billing your client has dropped recently because you’ve been too busy trying to get a brand new printer shared out across the whole company? Maybe you’ve spent the last few days on the phone to BT about the Internet Connection that drops out every hour. It’s probably time to get someone in who knows exactly what they’re doing. Of course you’ll have to pay them, but it’s probably a fair amount cheaper than the amount of work you’re missing out on whilst taking the IT on yourself. If your IT system is down and your ‘go to’ guy is on holiday. Your IT expert is on holiday and your whole IT system is down. What are you going to do? Probably call a local IT company who will charge you a ridiculous hourly rate to fix your issue and then probably not even fix it. If you had that current ongoing IT support contract in place with a lovely friendly company – you’d just give them a call. It saves to have someone on hand when you need them the most. You missed a project hand over because software you need hasn’t been working. That large project for a well-known company is set to be handed over later on today. You haven’t finished it; you can’t tell that company every time you open a programme your whole computer freezes up can you? Of course you can’t. If you had again, a lovely friendly company on hand to call when software does freeze up – you wouldn’t have missed the deadline. Arc Systems do regular preventative maintenance and real-time monitoring so we would have probably spotted the issue before it had begun to affect you. You’ve lost data, you can’t get back. Your data and keeping it safe is a vital topic. 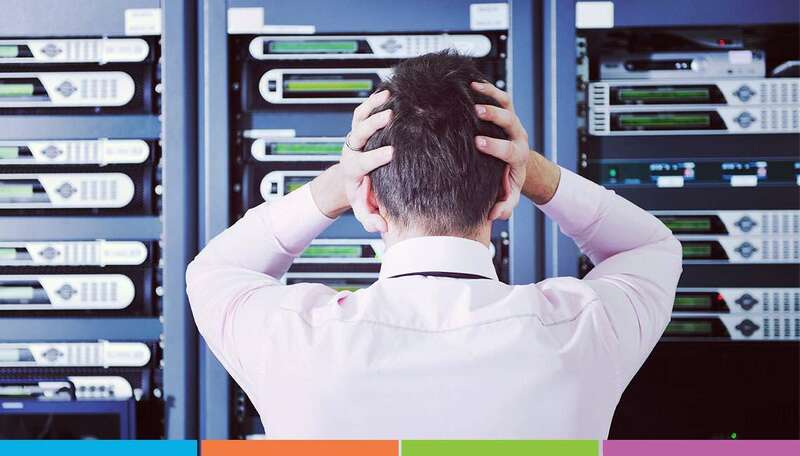 Having a fantastic backup system that’s monitored and maintained by a proactive company will ensure that when an incident happens – you’ve got full faith in knowing your data will be recovered sharpish. You’re still running a 15-year-old Operating System, that’s unsupported. Yep, we’re talking about Windows XP or the upcoming end to Windows 7. Both are fantastic Operating System that many of us know and love, but they can be a huge security risk to you and your business. With your Dedicated Account Manager, they would let you know of crucial upgrades that need to be undertaken. Then we’d tackle them head on and make the upgrade simple and stress-free. You won’t get that without having a cracking IT support company at your side. So how can Arc Systems help? We have numerous support packages that can be tailored to suit your business. Head over to our Arc Support homepage to see the options that are available to your business.